The EPC9085 development board from Efficient Power Conversion Corp. (EPC) is a 40V maximum device voltage, 20A maximum output current, half bridge with onboard gate drives, featuring the EPC2049 enhancement mode (eGaN®) field effect transistor (FET). The purpose of this development board is to simplify the evaluation process of the EPC2049 eGaN FET by including all the critical components on a single board that can be easily connected into any existing converter. The EPC9085 development board is 2″ x 2″ and contains two EPC2049 eGaN FETs in a half bridge configuration using the Texas Instruments LM5113 gate driver. The board also contains all critical components and layout for optimal switching performance. There are also various probe points to facilitate simple waveform measurement and efficiency calculation. 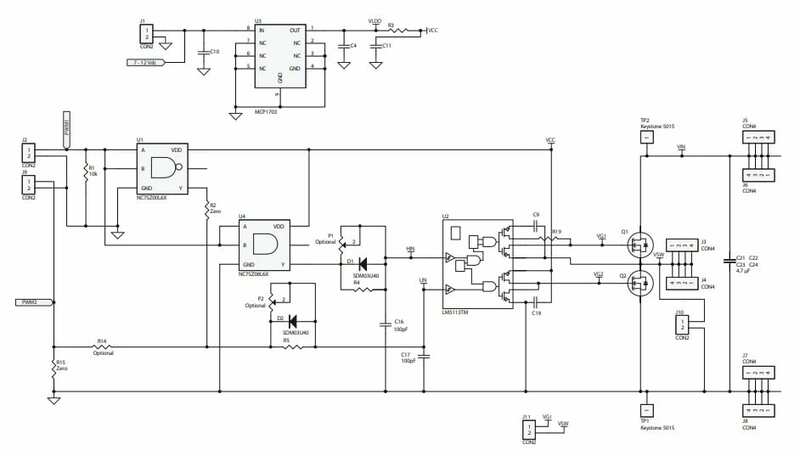 The EPC9085 has been evaluated in a 24V to point-of-load dc-dc converter application at 15A when switching at 500kHz. The EPC2049 power transistor for use in applications including point of load converters, LiDAR, envelope tracking power supplies, class-D audio, and low inductance motor drives. The EPC2049 has a voltage rating of 40V and maximum RDS(on) of 5mΩ with a 17A pulsed output current. The chip-scale packaging of The EPC2049 handles thermal conditions far better than the plastic packaged MOSFETs since the heat is dissipated directly to the environment with chip-scale devices, whereas the heat from the MOSFET die is held within a plastic package. It measures a mere 2.5 mm x 1.5 mm (3.75 mm2). “The EPC2049 demonstrates how EPC and gallium nitride transistor technology is increasing the performance and reducing the cost of eGaN® devices. The EPC2049 is further evidence that the performance and cost gap of eGaN technology with MOSFET technology continues to widen.” said Alex Lidow, EPC’s co-founder and CEO, at the time of the devices’ initial introduction. The EPC2049 eGaN FET is priced for 1K units at $2.19 each and is available for immediate delivery from Digi-Key.